The Cobra coiled cord fits all current and past Cobra Models. 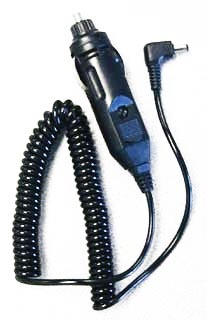 Coiled cord for Cobra ESD7000, PRO7080, XRS-9300, XRS-9330, XRS-9340, XRS-9345, XRS-9400, XRS-9430, XRS-9440, XRS-9445, XRS-9500, XRS-9530, XRS-9540, XRS-9545, XRS-9600, XRS-9630, XRS-9640, XRS-9645, XRS-9700, XRS-9730, XRS-9740, XRS-9745, XRS-9830, XRS-9840, XRS-9845, XRS-9930, XRS-9940, XRS-9945, XRS-9950, XRS-9955, XRS9960G, PRO-9780 and all others. Was concerned about quality at first, but after it arrived I saw it was Factory Original Quality. It works Great! No issues at all. Very Pleased! Will use this Site in the Future, no concerns. I was very impressed with the fast delivery and the quality of the product. It was exactly what I ordered and I would order again from your company. Excellent service help and quick delivery. Very satisfied for a professional service. You guys are the best. I was looking around town for a replacment cord for my Cobra radar detector and no one had it. I went on line and found exactly what I was looking for on Best Radar Detectors (BRD) web site. BRD nailed it with the right price and delivered on time! I'll use BRD again for all my radar detector needs. Needed a replacement cord for my radar detector and was very happy I found this site. Not only was the cord cheaper than any other place I checked, I received the item quickly. I was hoping I wouldn't have to wait forever and was very impressed how quick I received it. Works as if it were the original cord. Thank you for such a prompt delivery& great prices and I didn't have to pay a lot of S&H to get it quicker.